In today's science and technology of laser welding, engraving or cutting operation process is very simple, the processing technology of the laser engraving machine, in particular, as a computer printer on paper print, the user can control the carving software system installed on the commonly used computer systems such as: WINDOW each version of the system, and then with the help of a graphic design design, design your own like or ideal pattern, derived the corresponding extension file, you can easily through the engraving software in the workpiece is according to design good graphic output, and printing paper, laser engraving is laser will act directly on the surface of workpiece, the workpiece material can be arc bead, metal plates, plastic, wood, stone, etc. All materials. General laser engraving machine can engrave the following materials: wood, organic glass, metal, glass, stone, crystal, corian, paper, double color boards, alumina, leather, resin, plastic metal. Unlike dot matrix sculpture, vector cutting is carried out on the outer contour of the text. We usually use this pattern to cut through the wood, the acorns, paper and other materials, or to mark the surface of a variety of materials. 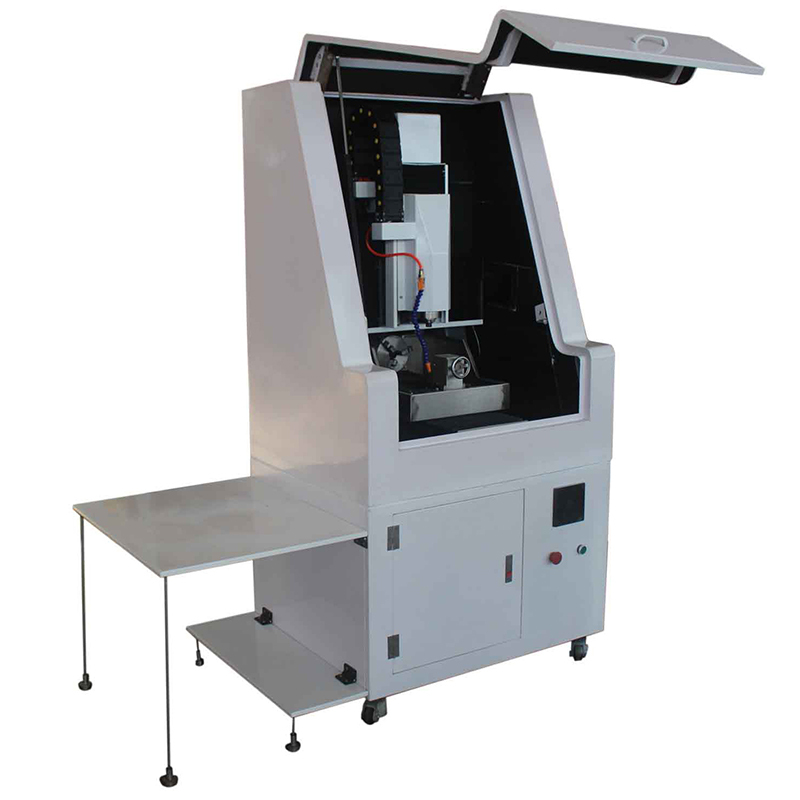 The performance of an engraving machine is mainly determined by engraving speed, engraving strength and spot size. Dot matrix engraving resembles high definition dot matrix printing. The laser head swings from side to side, each time carving a line consisting of a series of points, then the laser head moves up and down to carve multiple lines, and finally forms the entire image or text. Scanning graphics, text and vectorized graphics can be used in dot matrix engraving. Beam spot size can be adjusted by lens with different focal length. Small speckle lenses are used for high resolution engraving. The large aperture lens is used for lower resolution engraving, but for vector cutting, it is the best choice. The standard configuration for the new device is a 2.0-inch lens. Its spot size is in the middle, suitable for all kinds of occasions. Sculpting intensity refers to the intensity of the laser at the surface of the material. The greater the intensity, the greater the depth of the cutting or carving will be for a particular engraving speed. You can use the engraving machine panel to adjust the strength, also can use the computer printing driver to adjust. Within the range of 1% to 100%, the adjustment is 1%. The greater the intensity, the greater the speed. The depth of the cut is deeper. Engraving speed refers to the speed at which the laser head moves, usually using IPS (inches/second) to indicate that high speed brings high productivity. The speed is also used to control the depth of the cutting, and the slower the laser intensity is, the greater the depth of cutting or carving. You can use the engraving machine panel to adjust the speed, also can use the computer printing driver to adjust. Within the range of 1% to 100%, the adjustment is 1%. The advanced motion control system of humvees can allow you to carve in high speed and still get super fine carving quality. Like printer, laser engraving machine on the corresponding artifacts can be easily according to the graphic printing, easy operation, fast speed, particularly high efficiency, especially in the arts and crafts factory, it should take more widely, even has a design lovers also like to have such a laser engraving machine, carved their life can not only work, all in all, laser engraving machine is widely used in industrial production, not only individual its usage in production is also increasing.